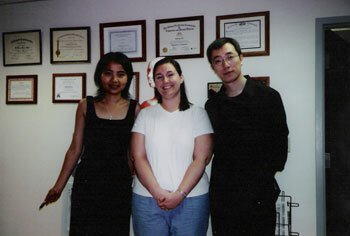 I came to New Realm Acupuncture Center very desperate after almost one year of trying to have a baby. I knew very little about acupuncture and was skeptical, but I read many accounts of people who had success conceiving with the help of acupuncture, and I was willing to try anything. I was made to feel so comfortable by New Realm Acupuncture and everyone here, they made each appointment easy and they helped me relax. After only one month of treatment with acupuncture, my dreams came true and I found out that I was pregnant! I truly believe that the acupuncture helped me finally get pregnant. If you have any doubts about acupuncture, you should give it a try, it can only help you. Thank you to everyone at New Realm.